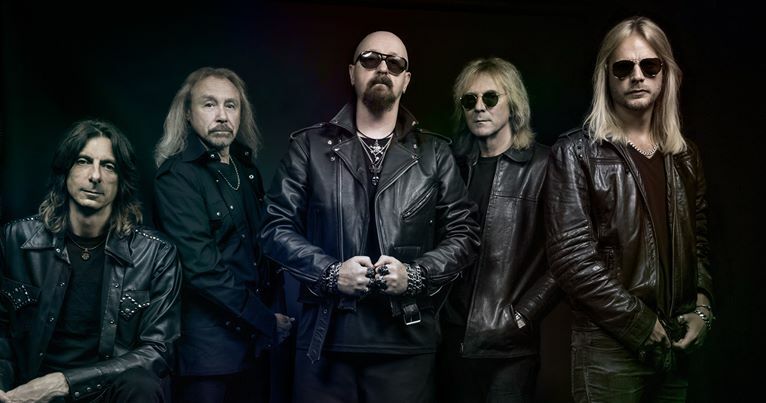 Judas Priest are streaming audio of the title track to their forthcoming album, “Firepower”, as the latest preview to the set ahead of its March 9 release. The tune follows the project’s lead single, “Lightning Strike”, from the veteran UK metal band’s eighteenth studio album, which was recorded last year with producers Tom Allom and Andy Sneap. Available via CD and digital formats, Judas Priest are also offering a limited-edition (300 copies) metallic silver-colored cassette version of the album via their PledgeMusic page, alongside a variety of bundle options including autographed colored vinyl, autographed vinyl test pressings, an exclusive t-shirt and an extremely limited number of autographed guitars. Judas Priest will launch a spring North American tour in support of “Firepower” in Wilkes Barre, PA on March 13.